Excellent hotel. Gentleman on reception who checked us in at 1am was so friendly. Great Location. Bus efficient. breakfast was delicious. We stayed in the Carlton over the Christmas Break and must say we were so pleased with the hotel from the minute we arrived. The Male Receptionist was so friendly and helpful, the hotel was warm and clean. We had something to eat in the Bar and the staff there were so nice and friendly. The Car Park was good also. Overall, we had a very good experience in the hotel and would highly recommend it. Keep up the good standard. Hotel was just prefect for what I want, for my stop over for my flights. Staff where friendly and courteous at all times. The breakfast was to die for and the gym facilities was out of this world. Rooms Good,Service at reception Good, but breakfast servings poor, food burned and cold when served. Due to weather conditions I needed to book last minute accomodation for one night close to Dublin airport. 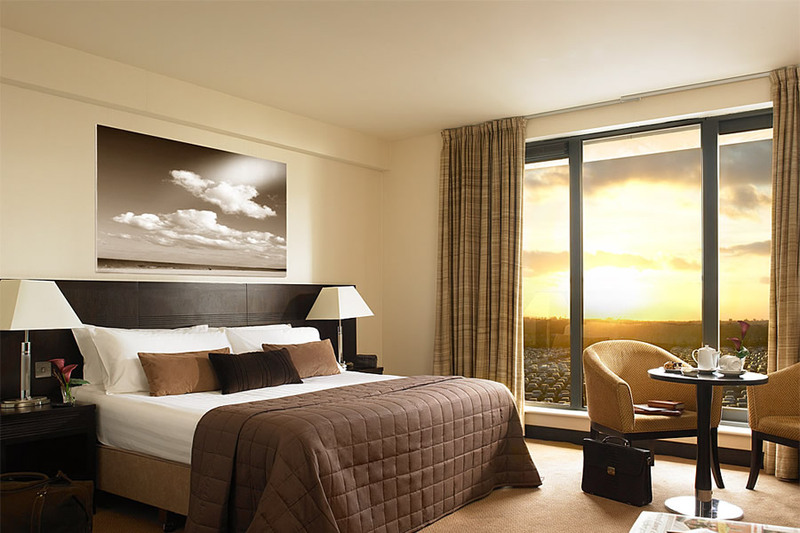 I choose the Carlton Hotel, Dublin airport. I was travelling alone. Check-in was helpfull and friendly. Breakfast was lovely @04.00am. Great location. Elizabeth, Castlebar. fantastic hotel,wonderful staff in all areas,have stayed in another well known nearby hotel were all you got at reception was a grunt ,staff at the Carlton could not be more different,smiling and helpful ,we have now booked 3 more nites we are so impressed,also the shuttle bus driver should get a mention for his fantastic service.Keep up the good work !! I had a nice relaxing stay in the Carlton on Sat 1st Feb. I asked for a quiet room and on arrival was greeted by friendly staff who were very helpful and gave me a lovely room 253 on second floor away from airport. Can say I didnt hear an aeroplane during my stay despite it being so close to airport.. Popped down to Croke Park for Dublin game and was back in hotel by 9. 15. Wi Fi was excellent in room and there was a good selection of channels on TV. Had peaceful sleep and a great breakfast Sunday morning. Girl looking after breakfast was very nice and couldnt do enough for people old and young. 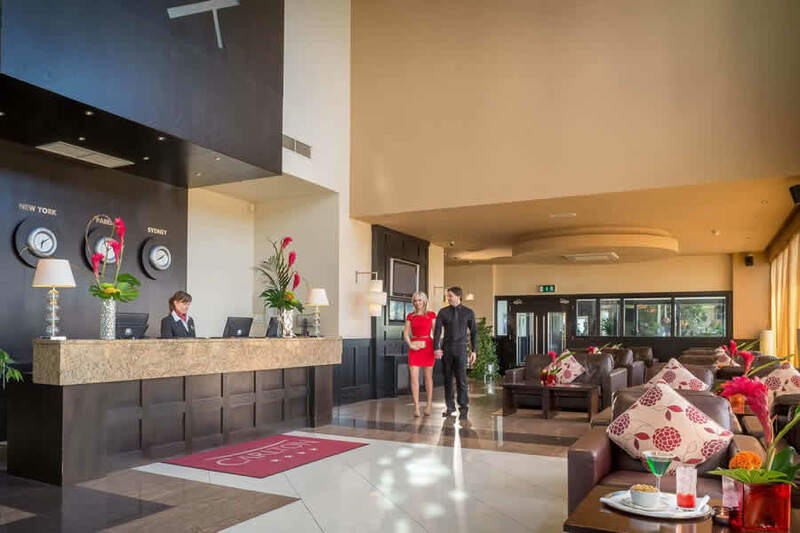 All in all a nice hotel whether you are going to airport or taking a break in Dublin. Will be back again. A very enjoyable stay and would recommend it. All staff very helpful. We stayed at the Carlton for one night prior to a flight. The staff were very pleasant and courteous. The guy at the front reception desk was very helpful. The room we were given was amazing. I have never experienced anything like it. There is a complimentary shuttle bus into the airport, the parking for the car was free because we stayed at the hotel which was brilliant. I will definitely be back and would recommend this to everyone. Overall very happy with the hotel. I had some concerns over breakfast but they were minor and i've gone back to the hotel already. Clean room, comfortable bed, wonderful dinner and friendly staff. I have stayed here before and I'm sure I will again. Convenient to Airport. Receptionist asks what time you wish to be collected by shuttle bus at check-in. Bus is very punctual. I stayed the night before going on a trip to the USA. The staff in the hotels could learn a lot from the staff in Irish hotels. As I only stayed for 4 hours due to flight delays my comments will be brief. 1) The Coach park is a long walk in the rain ( Not Hotels Fault but as usual DAA does not consider their customers) 2) Checkin at 01.00hrs was very swift and Welcoming. 3) Checkout at 04.30 was just as friendly and accommodating.. 4 Coach Driver very efficient and friendly. Lovely hotel to stay and staff are very friendly. Would definitely stay again. Really Nice, comfortable rooms, really quiet, Only moan, clingy shower curtain (hate) instead of a glass screen. Bar-restaurant food was good, house wine a little pricey. 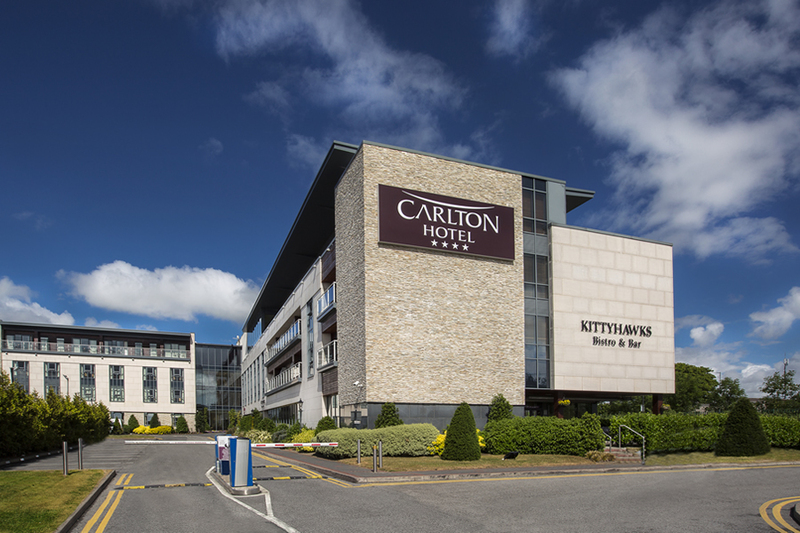 We were very disappointed overall with our stay at The Carlton Dublin Airport. On the plus side, check-in was very fast and polite and our dinner was excellent. On the negative side, the double bed was actually 2 singles pushed together with one being significantly higher than the other! This made us uncomfortable to say the least! Also the heating system was a nightmare! It's a hot air system that comes on automatically at 6am despite being manually switched off by me at 2am. I complained at Reception in the morning that I was awakened by the loud hot air heating system at 6am and she said that it can only be switched off in advance by calling Reception before you go to bed! Strange but annoyingly true! Furthermore our sleep was regularly disturbed by late night and early morning flights as the double glazing is quite poor. So all in all we had perhaps one hours sleep. Our morning shower was very poor as the shower head produced an annoying very fine spray that could not be adjusted to behave normally! And lastly the breakfast was quite decent but rudely stopped at 10:30am and all juices, coffee, bread etc... instantly removed. There was something very inhospitable about this approach so we immediately left. I would not stay here again as I left tired and frustrated by this careless hotel. This is a beautiful hotel with very friendly staff and immaculate rooms. The food is top quality with quick service. Definately to be recommended and revisited. Staff were very friendly. Courtesy bus came on time and the driver was very pleasant. Room was above average, warm, comfortable and spacious. Only faults I can report were the lack of a bath and an overly dark TV / computer screen - there was no facility for adjusting brightness. All in all, for a competitively priced airport hotel it was hard to beat.